As we take in the unfolding tragedy that took place in Thousand Oaks, CA last night, and on the heels of the massacre at the Tree of Life synagogue in Pittsburgh, it brings us frighteningly close to the concept of a “weekly mass shooting.." What can the average citizen do besides wring their hands, turn off the TV and hope it doesn’t strike close to home? They can vote, and you’ve done it. You took an enormous step forward in protecting our nation and our fellow Americans from gun violence by picking up many more than the twenty-three seats necessary to secure a pro-gun violence prevention (GVP) majority in the United States House of Representatives. With at least 16 races still not officially called, all major outlets are projecting that Democrats will pick up at least 31 seats, at least seven more than needed. Now the hard work of pursuing data and information, analysis and accountability for solutions to our nation’s multi-faceted epidemic of gun violence begins. The past few weeks have been a whirlwind of activities and ups and downs for all of us. Staff and volunteers have fanned out far and wide to work for every vote. I canvassed with our chapter leaders, partners, victim-survivors and other advocates in California, Virginia, and Florida. I mourned and rallied with a devastated, yet strong and resilient, Squirrel Hill community in Pittsburgh in the aftermath of the worse anti-semitic attack in US history. And into the wee hours of the morning, I anxiously tracked election results with my co-workers and compared notes with colleagues in campaign war rooms large and small throughout the country. 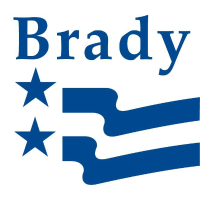 I am so proud to be part of the Brady Team and the emerging gun violence prevention movement as a power greater than the corporate gun lobby. We have witnessed gun violence prevention as a top-tier issue this midterm where most candidates ran unapologetically on an aggressive gun safety agenda and won. Many proudly displayed their NRA F rating while the gun lobby hid their A-rated grading from public view to protect their candidates’ chances at the polls. And we brought out more voters who made their decisions based largely on candidates’ positions on preventing gun violence. Exit polls found guns to be the 4th leading issue of concern to voters, the top concern for 1 in 10 voters, and a huge increase in new voters joined the field as well. And young voters identify school shootings and gun violence as top concerns since Parkland. Our goal for the midterms at Brady was always to do everything we could to help obtain a pro-GVP House as a check on a divisive, openly hostile administration bent on rolling back our nation’s protections in our background check system. We, along with our counterparts in the movement, made significant investments of staff and resources to help educate candidates on how to talk about gun violence and its prevention on the campaign trail. Just as we dedicated ourselves to keep any scapegoating, retreat or backsliding from happening on strong gun policies after the 2016 elections, we strenuously urged all candidates seeking our endorsement to commit to engaging and proactively talk about Brady’s Three Point Plan and other priority policies and programs. More candidates than ever sought our endorsement, leveraged our issue briefs and talking points, and vocalized their priority support for preventing gun violence. And Brady PAC financially supported 35 pro-GVP candidates directly and with independent expenditures running digital or radio ads in eight races. Our volunteers also did countless phone and text banks to great effect. Now that a pro-GVP House majority has been achieved, we are already working with leadership to further define and implement a comprehensive policy agenda that includes expanded background checks and closing loopholes, extreme risk orders, and limitations on assault weapons, accessories, and high capacity magazines -- our Three Point Plan -- as well as funding for GVP research, PLCAA repeal and more. Last night’s shooting reminds the current Congress that they still have not acted and will have another opportunity in their upcoming post-election “lame duck." session in a few weeks. We know that ranking committee members have already started interviewing applicants for staff positions ahead of their takeover of the committees in January. We’ve worked with some to prepare for this result from Judiciary, Government Oversight, to Energy and Commerce and Appropriations Committees, as well as with the GVP House Task Force members and leadership. We will not let any grass grow under our feet, and we know that you won’t either. We’ll need to keep advocating, supporting and urging on our Hill GVP champions and friends, and keep making sure that GVP policies and priorities are on the front burner. We expect movement within the first 100 days of the new Congress, if not before, and this is only the beginning. Jim and Sarah Brady’s vision of an America free from gun violence just took a huge step forward.